Signature are meeting with Dame Anne Begg, Chair of the Work and Pensions Select Committee, today with the aim of putting deaf issues on their radar. 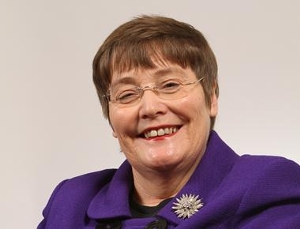 Dame Anne has been the MP for Aberdeen South since Labour's landslide general election victory in 1997. She is a tireless advocate for disabled rights and was made a Dame in 2010 for her services to disabled people. She is a trail blazer, as the first permanent wheelchair user to be elected to parliament. At today's meeting we will discuss the committee's work and the impact of welfare reform on the deaf community. We look forward to meeting with Dame Anne and hope it will be the start of an ongoing relationship.